If you hand wash your clothes, you know that drying them can be a real challenge without the proper tools. 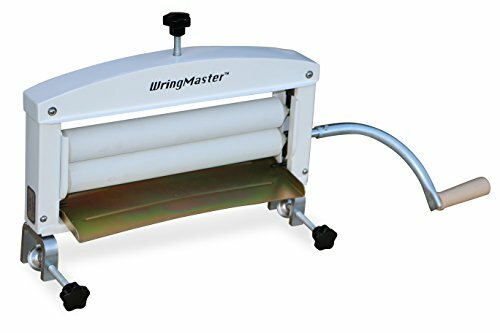 WringMaster hand wringers are designed to put the joy back into your wash day. We built this wringer to last a lifetime. You can easily mount this wringer to a round or square galvanized washtub and your ready to go. Just give it a try and we are sure that you'll love it, thats our Guarantee. - Extra wide frame has an opening over 14 inches wide so you can easily fit folded sheets and towels. - Our wringers are built commercial grade to survive even the toughest environment. Can be used not only on home laundry but for Camping, Boating, on the farm, at the swimming pool for bathing suits, hotel towels, and more... - Made with real Hardwood bearings to last a lifetime. Ergonomic wood handle. Stainless steel hardware. If you have any questions about this product by WringMaster, contact us by completing and submitting the form below. If you are looking for a specif part number, please include it with your message.